This page provides an overview of some of the kit you will need to purchase and consider owning to get the most out of your kayaking and to ensure that you and others are safe on the water. I cannot emphasise enough the need for some or all of this kit and without sounding too dramatic, your life (or others) may really depend on it one day. As an inshore boat angler I am fully aware how things can change suddenly and the need for safety so please read this guide to help you in setting your yak up. GPS (handheld) & Compass - VHF Radio - Mobile phone in dry bag - Flares - First aid kit - Paddle Leash- Spare Paddle - Spare Rope - Life jacket/PFD - Whistle and pocket torch - Knife - Anchor - Dry/Wet suit - Gloves/Hat/Neoprene boots/SealSkin socks - Kag top - Dry bag for storing items and spare clothes. 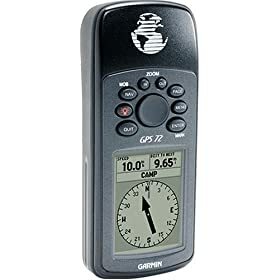 GPS (handheld) & Compass: This is an essential piece of kit for any angler afloat (boat or kayak). It has two main benefits, firstly is the safety aspect becuse if your in distress or need of assistance you can give the coastguard your position using longditude and latitude co-ordinates. Secondly it allows you to save any productive fishing marks you come across so that you can go back to the same locations should you wish. I would recommend one that is waterproof and floats for use on the kayak just in case you drop it in. Always take spare batteries in your dry bag. A compass is a must as back up because you shouldnt just rely on the gps incase it malfunctions. Always check your compass and kit in general before getting afloat. If you havent already got your starting point plotted as a waypoint the do this as it will give you a direct route back to your base should fog come down or visabilty become reduced and you need to rely on GPS. VHF Radio: Like the GPS i view this as an essential piece of kit. Its purely for security so that you can make contact with anyone out at sea or the lifeguard if needed. I would advise you to get one that is waterproof and floats to ensure that you dont lose it overboard. You can also buy a special bag that keep the item bouyant and waterproof. Legally you will need a VHF licence to use this kit. This can be obtained through a day course and is a must. They usually cost between £50-£100. You must do this course becuase if you use it without knowing you may accidentally be preventing the RNLI helping someone else that is in distress. This said you may wish to take one out while awaiting to do your licence for use only in an emergency as something is better than nothing but as i say only use it in a critical situation. I will obtain some useful links for information on courses shortly. Mobile phone in a dry bag: Whilst not ideal, as reception can be poor, it is a good back up in the event that your vhf develops a problem. I have purchased a cheap phone to use when im out on the yak as i have damaged and lost many while fishing in the past and learnt my lesson. The dry bag will protect it from the water. I have also opted for one with a camera as this means i dont need another camera with me and save on weight. 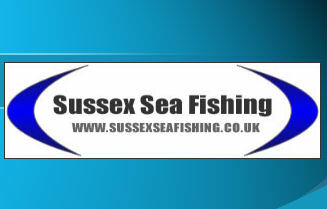 Flares: There is a whole range of Flares available and you need to suit the ones that match your fishing. As you will not be going too far out inshore ones may be best but speak with the sales staff for specialist advice to suit your requirements. First aid kit: Pretty self explanatory but its always helpful to have if you cut yourself as we have all done in the past on a hook, knife or line. Spare Paddle: If your paddle breaks or is lost for some bizarre reason then a spare will prevent you being stranded. I dont know many people that carry one but is worth considering, especially if you were to go out alone. Spare Rope: Useful to keep items in the kayak and also for tying off to bouys/markers/other kayakers if you need to. Life jacket or PFD: Life jackets and PFDs (Personal Floatation Devices) are a must. If you fall in for any reason they will keep you afloat. They should be worn at all times and it is best practice to be the first thing you put on or do after putting in your wetsuit. Whistle and pocket torch: Both of these are small but potential life savers. Either can be used to alert people from afar either visually or via sound. Both will make you far more visable/audiable then you would be by shouting or waving alone. They can provide means of morse code if something occurs whereby you cannot use your vhf or mobile. For this reason they should be carried on your persons. Knife: As a kayaker there is always the risk that if you come off you could be caught in old line or fishing net. For this reason you need a decent knife that can cut through such things. Personally, despite it being unfashionable, i keep all small items like knife, whistle, torch and vhf in a bum bag, so that if i do go in i can get them quickly and they are not still on my kayak. Anchor: This is an important piece of kit as it allows you to anchor up and fish over one piece of ground instead of drifting. You need a strong rope and a fair distance of it. It also acts as a safety device because if your injured you can anchor up to stop you drifting and give your position to the lifeguard using the gps and vhf so that they can assist you. Dry/Wet Suit: Wet suits are best used in summer months when the water is warmer. Even then you can still feel cold (and i can testify to this). The benefit is that movement is much easier than in a drysuit but you will need to weigh up the choice yourself depending on the type of fishing you will be doing and location you choose to fish. Dry suits are becoming ever more popular as they will keep you warmer longer and prevent the onset of hypothermia for much longer than a wetsuit should you fall in, even in summer. I would say that the best thing to do is visit a local watersports shop/specialist and ask their advice before purchasing. Gloves/Hat: These are the extrematies of your body and often get the coldest quickly or lose heat quickly. Any angler will know the value of one of these items if you fished in the cold before. The hat will obviously keep your head warm. The gloves tork to keep your hands warm but also will help reduce/prevent blisters from paddling. I use neoprene type gloves with a few finger tips chopped off so that i can still tie knots etc. If its really cold then full gloves come out. Neoprene boots/SealSkin socks: If you have been out on a kayak before you will know the importance of neoprene boots and if you have them Seal Skin socks (the brand not the actual thing). As your feet will sit in the footwell they will often be surrounded by cold water and as little warm blood is pumping around due to the lack of movement it can become very uncomfortable and cold. I use my neoprene boots when getting into the water and going out and i store my seal skinz in my dry bag. Once out i put the seal skinz on and then put the neoprene boots over the top. It works great and keeps your feet much warmer and makes the whole session better. Kag top: These have seals around all potential entrance points and will keep you dry in the most extreme contacts with water. Well worth it to keep you warm. Dry bag for storing items and spare clothes: Dry bags come in all shapes and sizes to suit your needs. I have small ones for keys and a larger one for spare clothes. They can be purchased at very reasonable proices from most camping or kayaking stores. For some reason i was sceptical but they certainly work and well worth the money. I put food, a camera for those all important catch pictures and spare clothes in mine. There is nothing like putting on an extra or dry jumper when you start feeling the chill either while your out on your yak or when you come back to shore. I also put my seal skin socks in mine as a back up for my neoprene boots. Dont fish alone: Always fish with someone becuase if your injured or something unfortunate happens, you have someone there to help and support you. Develop/agree visual signals for ok, distress, fish on etc. so that you can comunicate visually if your out of talking distance. Tell someone where your fishing: This is important wherever you fish, on shore or offshore, this way if something happens people know whereabouts your fishing. Keep certain items on your self: Personally, despite it being unfashionable, i keep all small items like knife, whistle, torch and vhf in a bum bag, so that if i do go in i can get them quickly and they are not still on my kayak. Tides & Wind: These are very important factors as the state and size of the tide can effect how quickly you will drift. Also Wind has a big effect on this. Both combined can actually make paddling back to shore difficult.